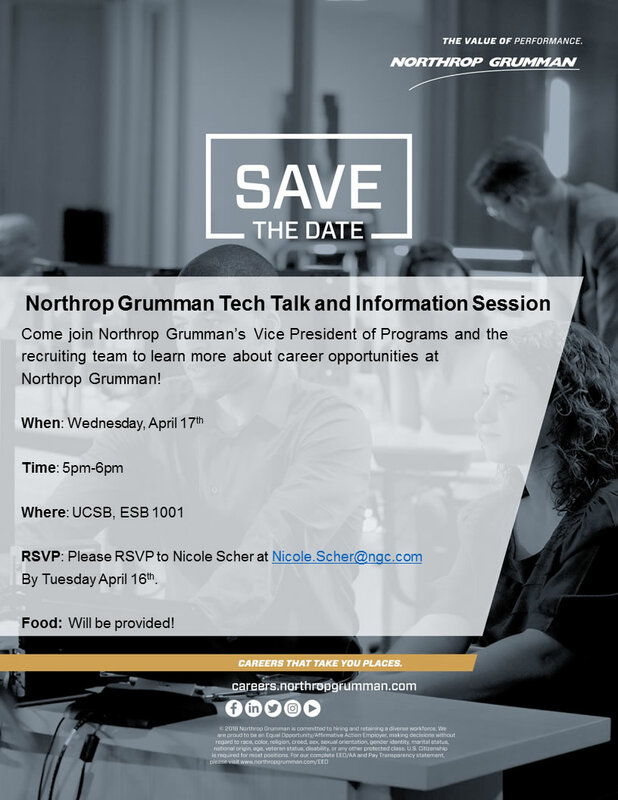 Come join Northrop Grumman’s Leadership and Recruiters to learn more about future full time career opportunities and internship opportunities. Our Vice President of Programs will be attending to share more about his career path. We will answer questions on our application process, what our hiring managers look for, and how to prepare for your career. We look forward to seeing you there! You will also be able to apply directly with the recruiters by attending this event – bring your resumes! ← Deloitte Information Session for Japanese/English Bilingual Students!